Delaware, Florida, Georgia, Maryland, North Carolina, Pennsylvania, South Carolina, Virginia, Washington D.C.
David is a native of the Washington, DC metropolitan area. After a short career as a professional musician, he decided to enter the real estate industry, where both of his parents have held successful careers. David has been a helping clients for over 13 years. 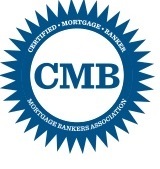 In 2016, he earned the Certified Mortgage Banker (CMB) designation, the highest designation in the mortgage banking industry. 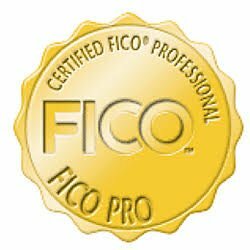 In 2011, he received the prestigious Certified FICO Professional from the Fair Isaac Company acknowledging his expertise with credit reporting and scoring models and an ability to educate his clients on credit score maximization. He is a graduate of the Mortgage Bankers Association’s School of Mortgage Banking earning the Accredited Mortgage Professional (AMP) designation. He studied Tuba Performance at the University of Cincinnati College-Conservatory of Music, performed with the National Symphony and Cincinnati Symphony Orchestras, and has performed throughout Europe. David received degrees in Mathematics and Economics from George Mason University. His life goal is to share the love of Jesus Christ with his clients and their friends and family by providing wise financial advice on the largest investment in most families’ portfolios – their home. In David’s free time, he enjoys reading, dining out, travel, yard work, church activities, and Bible study. He is an Eagle Scout and supporter of the Boy Scouts of America. David lives in Woodbridge, VA with his wife, Laura, their three children, and their two English Bulldogs. My wife is a real estate agent and she always works with David Bridges and his team which is why I got my mortgage loan through his team as well. My wife and I trust David and his team 100% and we know that they will do their best to provide us with the right loan options. We will always work with them for our future purchases as well. David Bridges and his team rock! You will not regret having David Bridges and his team as your lender….hands down! I cannot say enough good things about David and his team. He is genuine and professional, key attributes for this type of business. He is very knowledgeable, gave us great counsel on improving credit, and got us an excellent interest rate in the end. David answered promptly and thoroughly all of my questions, (I had a lot of questions) he makes a gigantic transaction go smoothly! His staff, Elaine and Kim, are equally as courteous and professional, they take you by the hand every bit of the way through the mire of paperwork needed! When my wife and I were looking to move out of our town home and into a single family home five years ago, we were introduced to David J by a very lucky chance. During our first meetings, a lot of time was spent understanding not only our financial situation, but also our family needs before offering advice and a plan for moving forward. After moving into our new home, David J called periodically to ensure that we were doing well and to keep us informed on current mortgage trends. It is refreshing to know and work with someone who takes the time to establish a personal relationship as well as a professional relationship with you. - Judith and Ruben M.
Very thorough and very quick! David answered all questions and addressed all concerns that I had during this process. He was very patient with me and he made me feel very comfortable. I would recommend him highly. Thank you! Our experience with David was phenomenal, as he was simply a pleasure to work with. Not only is David extremely knowledgeable in his field, but he was very easy to communicate with. David had our backs throughout the entire home loan process, as he was always available and willing to answer questions, along with talk us through whatever stage of the loan process we were in. He made sure he did everything he could to provide us with a competitive interest rate, as well as educate us about our home loan. David has an amazing work ethic and went above and beyond for us to ensure our needs were being met. We will definitely be using David down the road when its that time for our family to buy again. - Donavan & Rebekah M.
My wife and I were a little intimated by buying a home in the metro D.C. market due to the home prices in the area. David did a great job and breaking everything down for us piece by piece to ensure we had the financial information we needed to make a sound decision on whether or not to buy. It was an excellent experience and I am happy we chose David to finance the purchase of our home here. Mr. Bridges and his team were professional and always friendly when helping me with the process. I truly enjoyed my experience with First Heritage Mortgage. From the first face to face to the last they guide you all the way. They keep you informed and answer any question you have or find out the answer for you. They are very honest and keep your interest number one. They go out of their way to make you feel like you’re their only client. They listen to what you want and don’t try to guide you to something you don’t want. I am truly satisfied with all of them. Everything that was in their power was handled on a timely manner. I wish that was true for the others. They could learn a few things from this family. It was an honor to get to know them all and work with them. As a top producing real estate agent in Virginia I get approached weekly from every lending agency under the sun, trying to earn my business. I recommend and use David Bridges as my primary lender for 3 main reasons. Honesty- David does not operate in gray areas. He is truthful and concise with every buyer. There is never a surprise at settlement! Integrity- David operates at the highest levels of moral and professional ethics. He can be counted on to always choose the more difficult Right Path, than the easy wrong one. Customer Service- When I put my clients in touch with David, I am always 100% confident that they will be treated with the utmost respect and professionalism, and presented with the absolute best mortgage programs available. 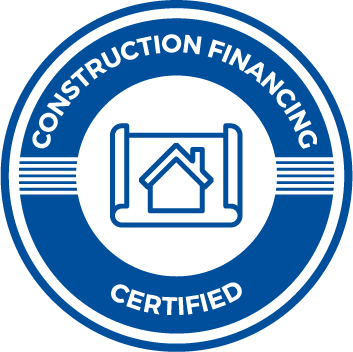 David can Make Things Happen where others lenders fall short!